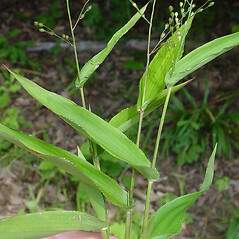 Broad-leaved rosette-panicgrass has broad, hairy leaves with smooth sheaths. 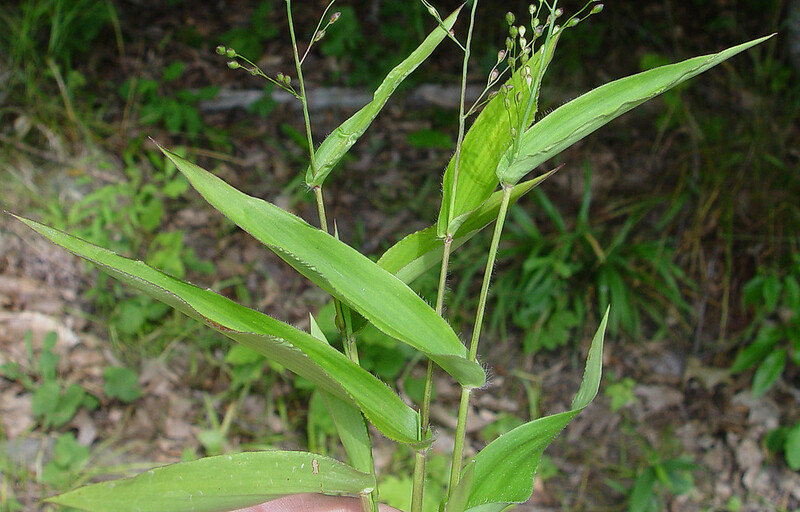 It inhabits moist forests and woodlands. 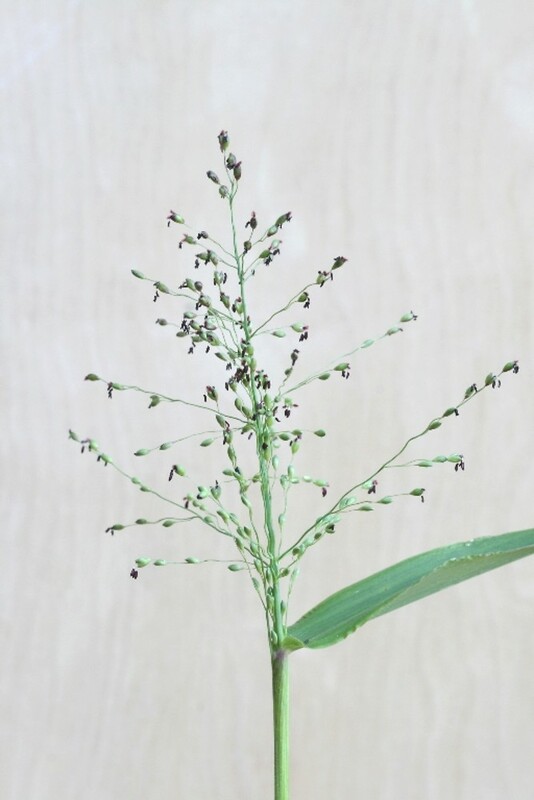 Like the other rosette-panicgrasses, it produces normal (chasmogamous) flowers initially, then later in the season it produces self-fertilizing (cleistogamous) flowers on small inflorescences that are usually hidden within the sheathes. 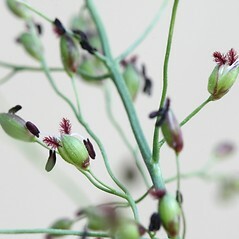 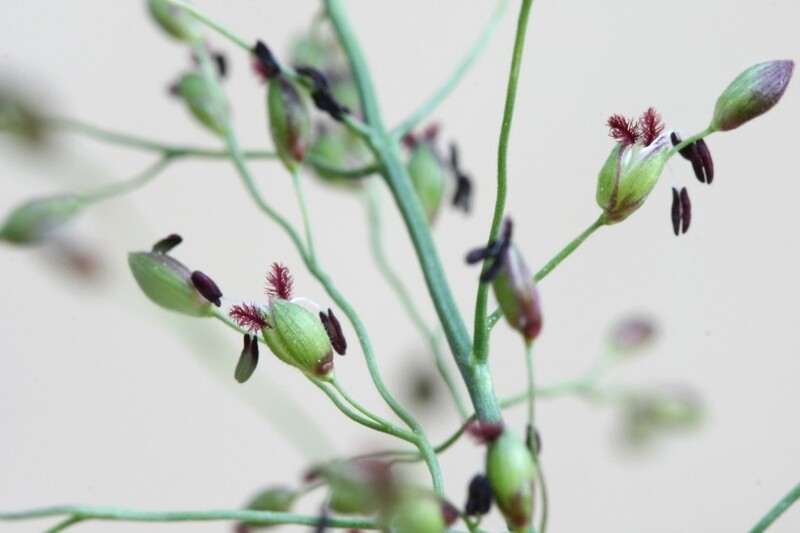 Both types of flowers produce viable seeds. 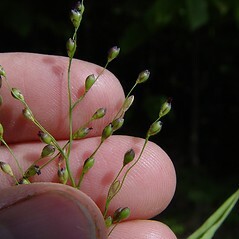 spikelets 3.8-5.2 mm long and nodes moderately to densely pubescent with retrorsely oriented hairs 1.3-3.4 mm long (vs. D. latifolium, with spikelets 2.9-3.9 mm long and nodes glabrous or sparsely pubescent with retrorsely oriented hairs as long as 1.4 mm). 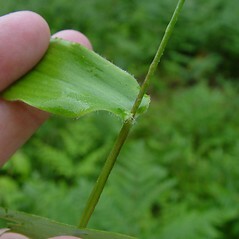 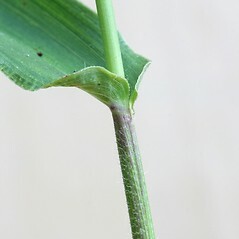 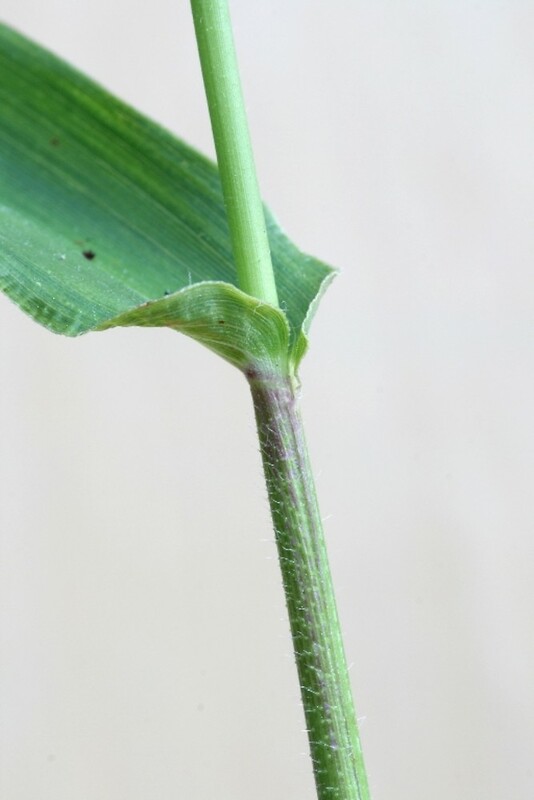 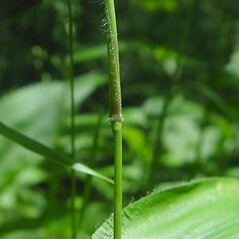 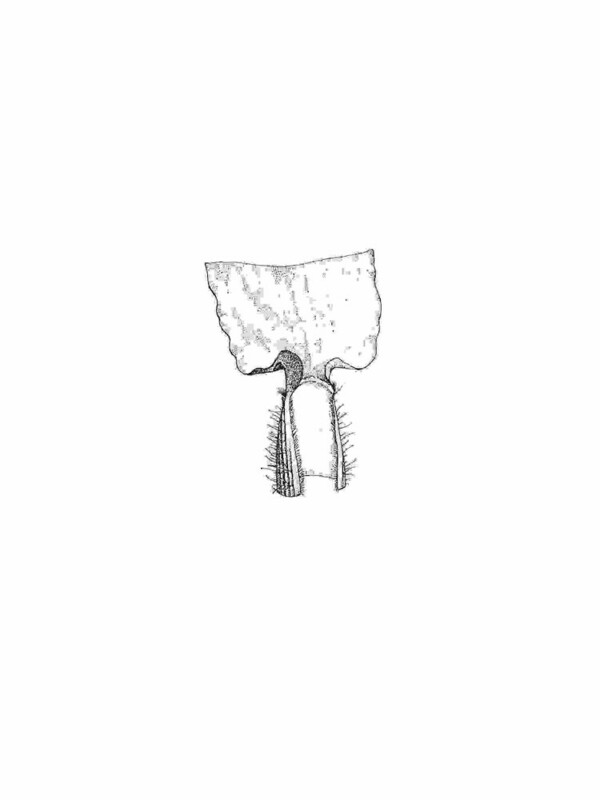 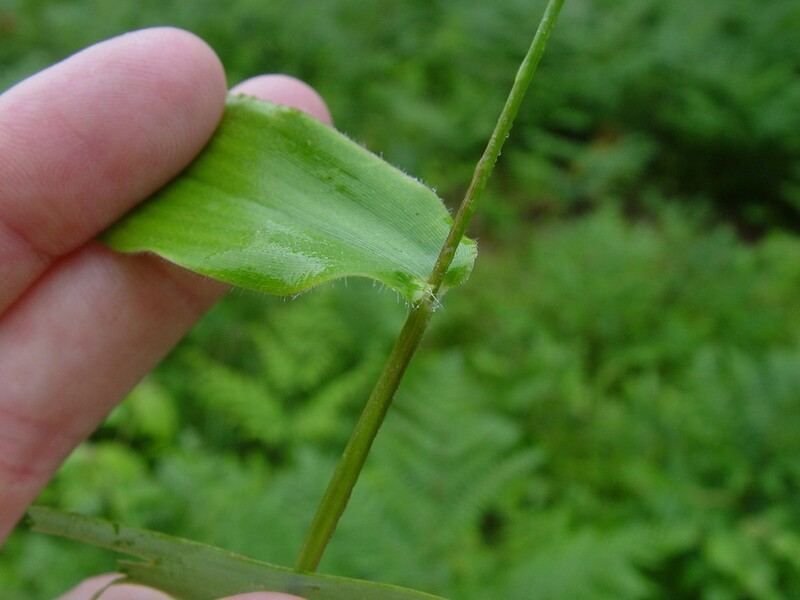 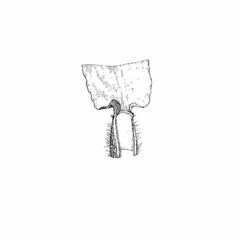 hairs of sheath arising from a blister-like base and rhizomes 3-5 mm thick (vs. D. latifolium, with the hairs of sheath without a blister-like base and rhizomes up to 2 mm thick). 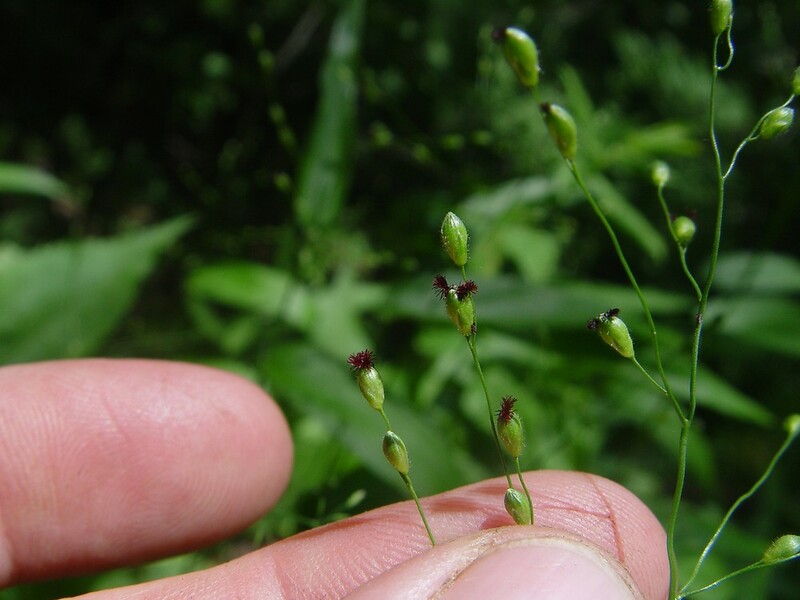 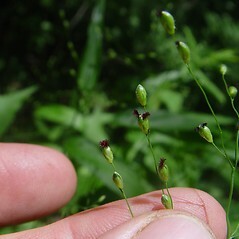 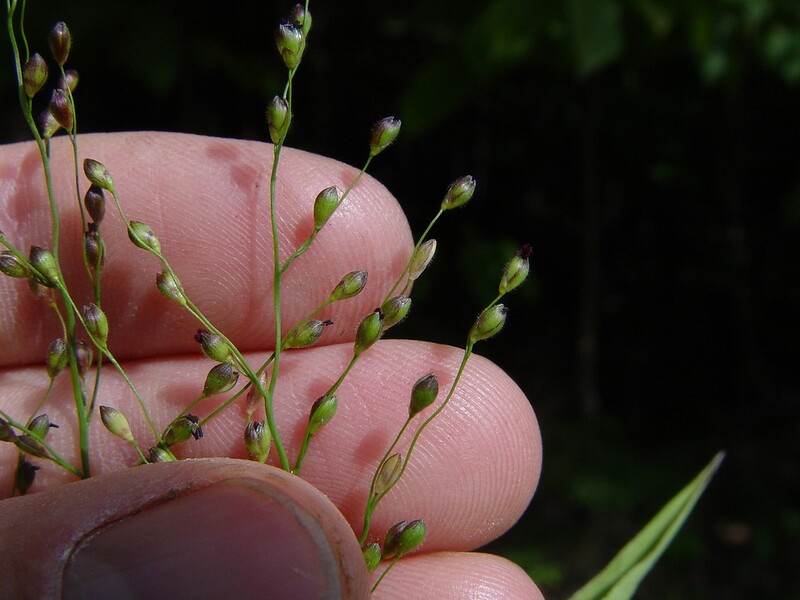 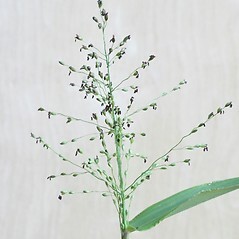 broad-leaved rosette-panicgrass. 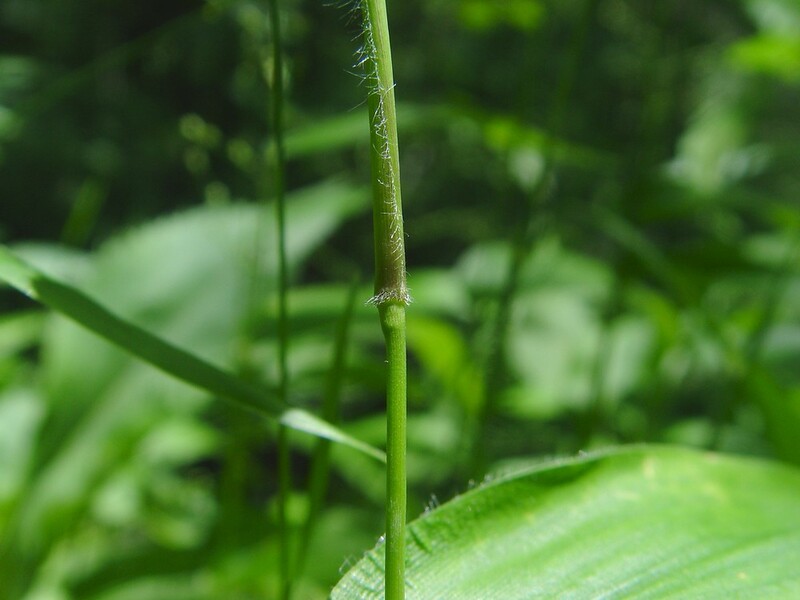 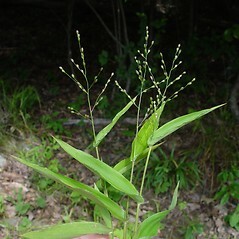 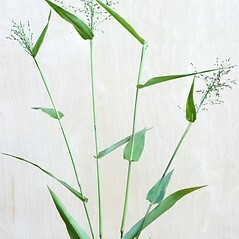 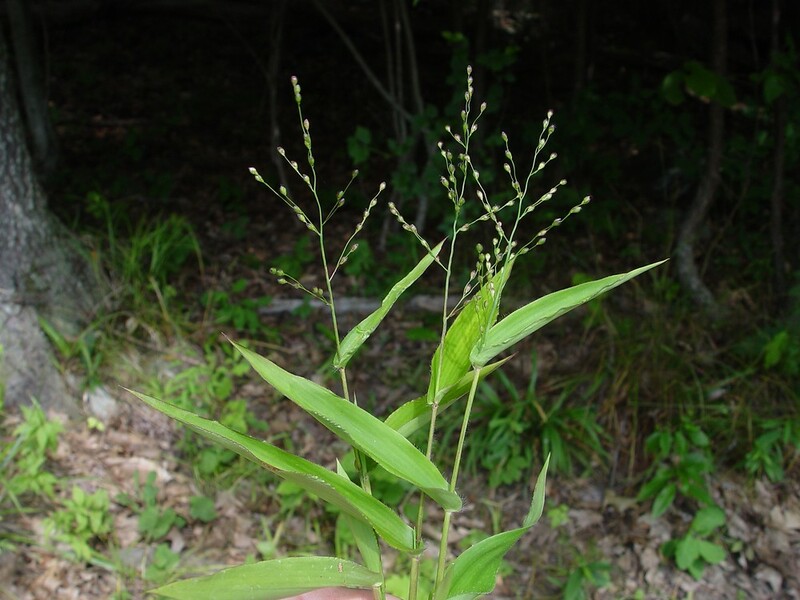 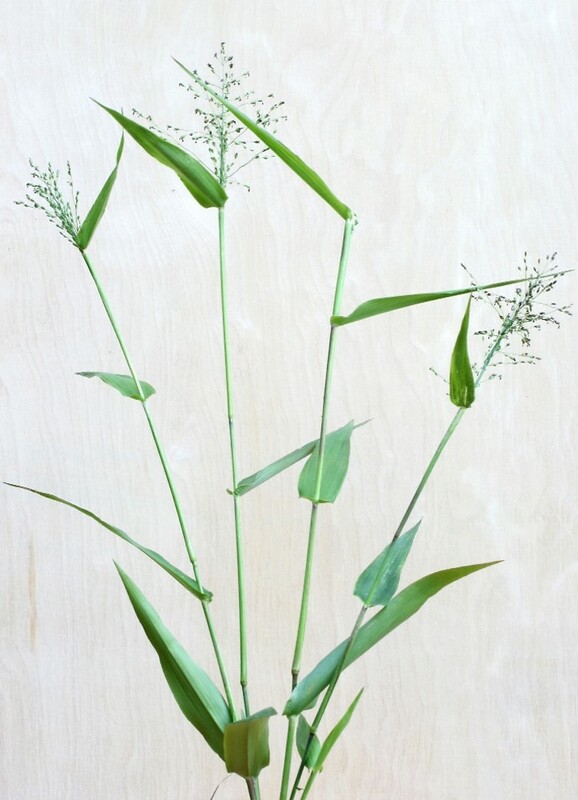 Panicum latifolium L. • CT, MA, ME, NH, RI, VT. Mesic to dry-mesic, usually deciduous, forests and woodlands.